This is one of those salads you either love, or hate! My family has mixed emotions on it, but I think it is yummy! So I make it here and there. Simply start adding ingredients and mixing! Keep food safety in mind and refrigerate until ready to serve! 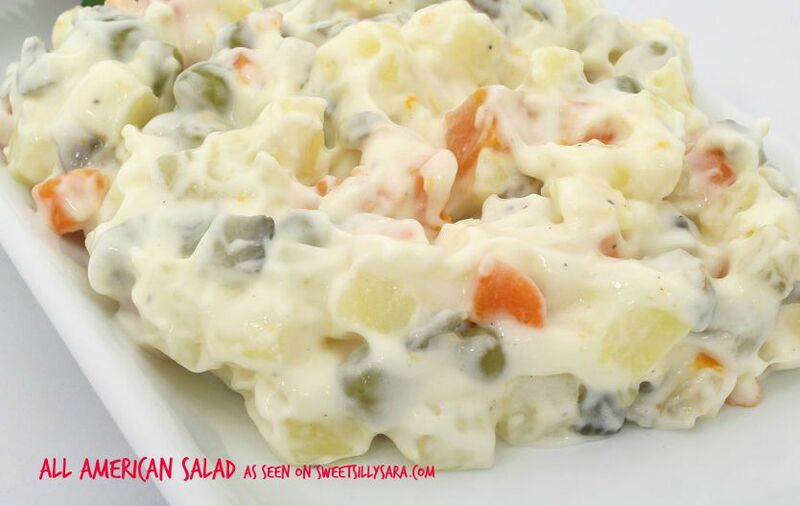 This salad is good because it has fruit, nuts, veggies and a lot of crunchy textures in the creamy sauce. It is also different. Not many other people bring this one to a BBQ, so I like to think of it as almost a little secret I whip up.